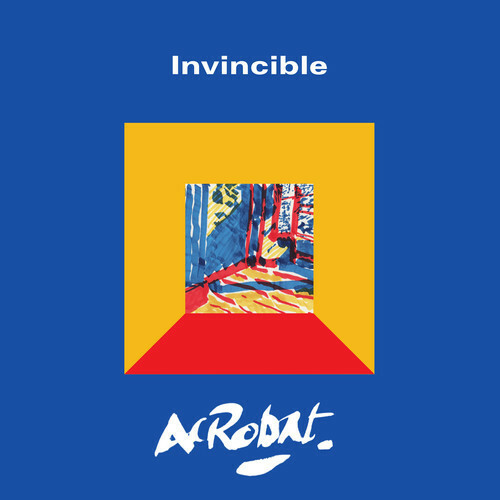 Next month London based four-piece Acrobat will be releasing their debut single, Invincible, through Parlour Records – the label who also put out the excellent Woman’s Hour debut single last year. On their debut single, Acrobat deliver a brilliant rock n’ disco number that channels The Blockheads, and to a lesser degree, Duran Duran, and Dexy’s Midnight Runners. Invincible wastes no time getting down to business, with the first verse beginning almost immediately. The song quickly settles into its steady groove, driven by the bass and textured with guitar noodling, upstrokes and warm, glassy keys. Invincible sounds like it’s been plucked right out of the 70’s with its organic production, choice of instrumentation, and, of course, pop songwriting style. Talk about hooks! After just one listen, the chorus of this thing will be nestled firm into your brain. The catchy sounds of “la, la, la, la” in the bridge even call to mind Talking Heads. Invincible is a solid pop number and like a breath of fresh air in a world overrun with banal pop. The single Invincible will be released on 3 March, 2014 through Parlour Records. would love to play this on my radio show, The British Breakfast on WRIR 97.3FM Richmond, Virginia and streamed at http://www.wrir.org. Can you make this happen? Hey Gene – great tune, eh? Sounds like a great spot…feel free to reach out to their label (Parlour Records) in the UK so they can organise this with you and send you the materials Visit: http://www.parlour-records.com/contact – cheers! Bought it right out 🙂 . “Invincible” on my radio show, The British Breakfast this Saturday between 9-11AMedt, 2-4Pgmt on WRIR 97.3FM Richmond, Virginia USA and streamed live on http://www.wrir.org. Podcast also available! Nice one Gene! We might just have to tune in! Great! We will be listening in to the show, thanks Gene..